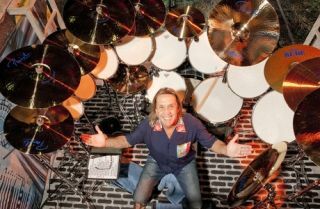 Nicko McBrain has been announced as compere for a huge night of celebrations to mark 50 years of Marshall Amps. The Iron Maiden drummer will b joined by Whitesnaker sticksman Brian Tichy and a host of guitar heroes - from Zakk Wylde to Joe Satriani - in paying homage to the company at Wembley Arena on 22 September. Nicko said: "This is truly a celebration of a British Icon - Marshall. Beyond doubt, Jim Marshall and the team have shaped the sound of rock music for eternity! Words cannot describe how pioneering Marshall is ! I feel more than privileged to be involved in this event. We're bringing together beyond-legendary artists for a moment in history. Expect pure rock n roll madness amplified to the max by Marshall! " Tickets go on sale at www.livenation.co.uk on Friday 9 March.